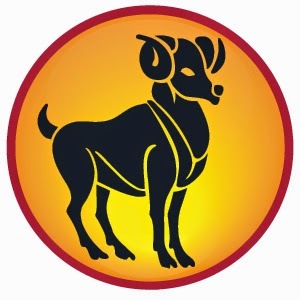 Aries Sign people can read here ARIES HOROSCOPE 2015, ARIES Astrology, Future Prediction with 2015 Aries Horoscope. Health, Love, Career, Financial Horoscope 2015. Meaning: During the birth of time if Moon is in Aries sign then a person will have fixed property, good relations and have boy and win women’s heart easily. During the 2071 Vikram Sawant 24/10/2014, Jupiter is in high amount. The general of devil Rahu is in his friend’s sign while Saturn is in high amount. Saturn will move to Scorpio for the next 2.5 year. Venus and Mercury will also give good fruits. But most of the things will depend on your birth chart. Jupiter will change its movement in the middle of the year. From 14/07/2015 Jupiter will move to Leo sign and before that it was in Cancer sign. No other planet is moving during the year. According to Ganeshji, you may buy property during this year. Also a person who is studying for master degree they will get success. A person who is planning to go abroad they have to take care of their financial balance. Venus is the owner of your sing. The starting of the year will be good. But in November Saturn will impact on your financial position. You may have to face difficulty in earning. You may want to change the job as Rahu is in the place of job. Mars and Mercury are important in your sign regarding health. You may have seasonal disease as Rahu in your sign. You may feel unhealthy but when you go for report you will not find anything serious. You have to worship lord Shiva which will give you good result. A person who is doing master degree they will get good result during 13/07/2015 as Jupiter is in Cancer sign. A person who is preparing for board exam they get good result during August 2015 as there is positive impact of Jupiter on you. Remedy: Feed jaggery and chapatti to cow on Tuesday. Light a lamp to lord in Hanuman’s temple. Do Mangal Kawach and Sundarkand. Establish Kuber yantra and worship it daily. Donate in old age home and help need people.